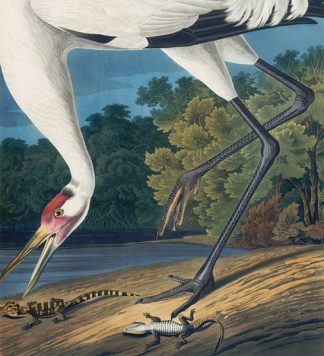 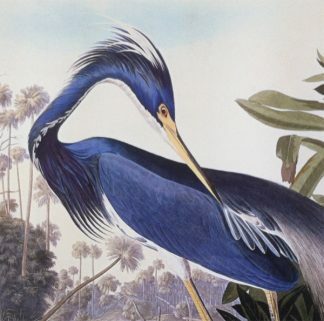 This is a wonderful illustration of the endangered Whooping Crane, set on a dark blue inky background with mangroves in the background and baby alligators in the foreground. 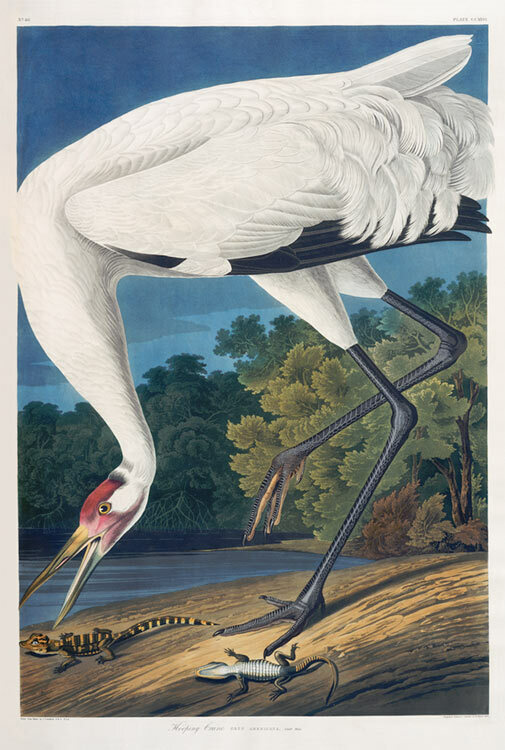 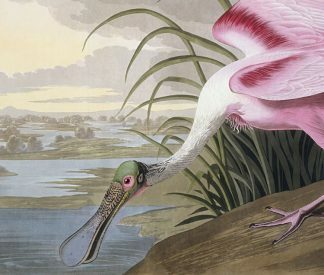 The Whooping Crane Essex print looks great paired with Pl. 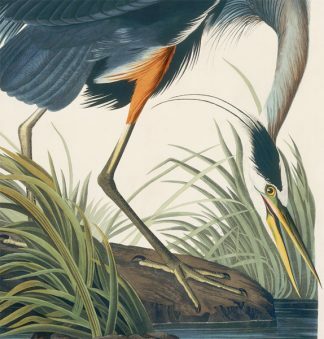 211 Great Blue Heron.